Laurie Hawn joined the RCAF in 1964 and received pilot wings in 1967. Serving over 30 years throughout Canada, in Europe and the United States, he attained the rank of Lieutenant-Colonel. He held a variety of command and staff positions, including command of a CF-18 fighter squadron. Retiring in 1994, he entered the financial services business, where he successfully opened and managed branch offices and held senior supervisory positions in this highly regulated and demanding industry. In 2006, Mr. Hawn took a seat as the Member of Parliament for Edmonton Centre. He retained that seat in the 2008 and 2011 elections. He has served in a variety of roles, including Parliamentary Secretary to the Minister of National Defence, Privy Councilor and member or chair of numerous standing and special committees, such as Treasury Board, cabinet sub-committees, National Defence, Public Safety and National Security, Veteran, Foreign Affairs, and Canada’s Mission in Afghanistan. He also co-chaired the Canada-United States Permanent Joint Board on Defence. 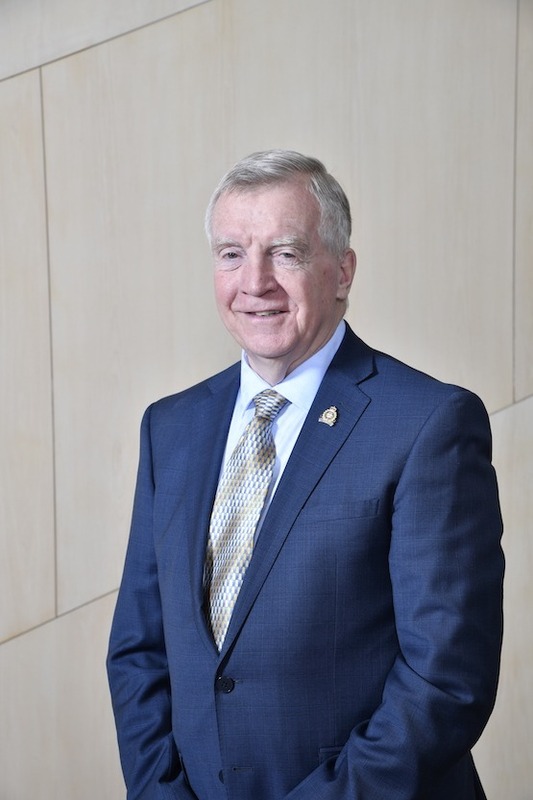 Retiring from Parliament in October 2015, Mr. Hawn plans to continue public service on the Board of the Glenrose Rehabilitation Hospital Foundation and as Honourary Colonel for 401 Tactical Fighter Squadron. As part of his current role, he represents the Commission on the Board of REACH, Edmonton’s Council for Safe Communities.